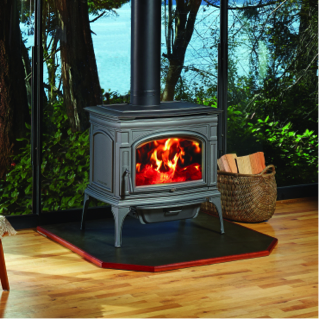 Hand assembled in the USA from beautiful European castings, the Rockport™ Hybrid-Fyre® is one of the cleanest burning and most efficient stoves in the world! Hybrid-Fyre® is an award winning technology designed by Lopi® to use less wood, burn hotter fires for longer, and reduce emissions. In the end, you save money while also minimizing your environmental impact. QUALIFIES FOR $300 BIO MASS TAX CREDIT!